Mindfulness is having a big moment right now, and rightfully so! Most of us have heard about the benefits that mindfulness can bring but for whatever reason, less of us are making it a priority on a daily basis. The bottom line is – we definitely should! Mindfulness is the simple act of learning to observe your thoughts and feelings. It’s being present, here and now, and fully engaged with yourself and your environment. 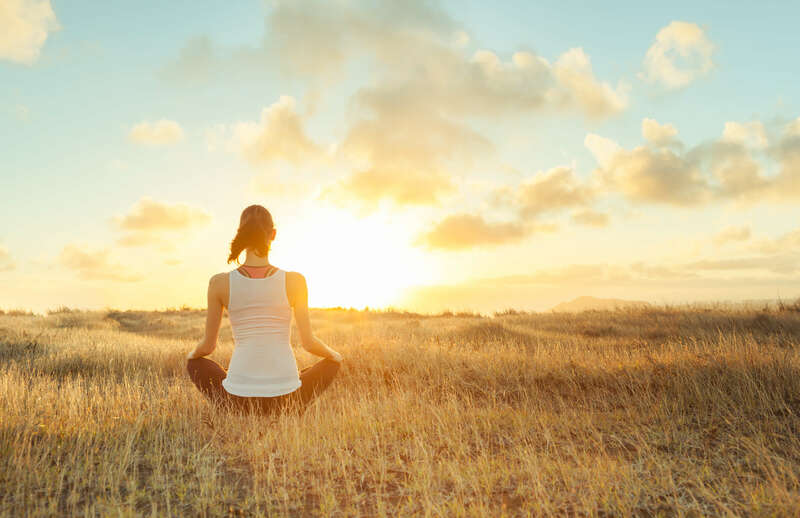 The potential benefits of achieving more mindfulness are extensive – greater concentration and productivity, more self-awareness and better management of stress – just to name a few! Meditation is a skill and it takes time to learn to perfect it. But don’t give up! Think about meditation as your journey. You don’t need to be perfect to notice the benefits of it. The key is to stick to your practice and be consistent. Here’s a list of exercises that can help you in your mindfulness journey. This breathing technique can help you to remain focussed and be more present. By inhaling and exhaling slowly, you tell your body that you’re in control of it, which helps you stay calm and more aware of yourself. This exercise should be done sitting down with your eyes closed. We recommend doing it just before you go to bed or soon after you wake up. Begin in a comfortable seated position. You might want to sit on the chair or on the floor in the lotus position. Relax your body and gently close your eyes. Close your mouth and breath in and out deeply through your nose for 4 counts. In your exhale, maintain a slight contraction of the throat. You might notice your breath creating an ocean sound. If you struggle to contract your mouth, place the tip of your tongue just behind your front teeth. Let go of your thoughts. Concentrate on the sound of your breath. Keep your focus on the count of your breath. Let your inhale fill your lungs and completely release the air during your exhale. Start practicing mindful breathing for 5 minutes every day. Gradually increase this practice to 15 or 20 min each day. Mindful eating is about fully enjoying your meals… all smells and flavours. It doesn’t matter if you’re trying to lose some weight, stop grazing or simply appreciate your meals more. Remove all distractions for a mindful meal. Turn off your TV/computer, put your book or magazine away and switch your phone to flight mode. If you’re at work, go away from your desk and find a quiet place. Focus just on your meal. Chew slowly and enjoy the moment. Notice all colours, smells and flavours of your meal. Pause between each mouthful. If it helps, put your cutlery down on the plate between bites. Try to take about 20 min to finish your meal. Pay attention to your body. Listen to any signals that your body is sending you. Is it telling you to stop eating? Think about the journey of your food, like from where it grew, who prepared it etc. Try to practice mindful eating once a day. When mindful eating becomes more natural, try to have 2 mindful meals a day. If it’s too hard for you to have a mindful meal each day, aim for 2-3 meals a week. Have you found yourself in a meeting at work, in a conversation with your friends or listening to a podcast, where you realise you have no idea what was just said? Mindful listening can help you to focus on the person who is talking and improve your communication with colleagues, friends and family. Try practicing with your friend, family or just listening to the podcast. Set the intention to listen mindfully. Remember you don’t want to waste yours and somebody else’s time. It’s your time to get the most out of the conversation or talk. Put aside all distractions and focus on listening. Turn off your TV/radio and put your phone away. All your focus should be on the person who is speaking. If you’re having a conversation, respond to that person. This can help you be more engaged in the conversation. When your mind wanders away, try to bring yourself back to that person. Your mind tends to wonder quite often, so repeat this instruction as many times as necessary. Try to practice mindful listening once a day and you will soon notice the benefits.